After weeks of speculation, Torino chairman Urbano Cairo has finally decided to relieve Franco Lerda from his position of Torino manager. Lerda, who was appointed at the start of the season, did not enjoy a particularly successful start to his career Torino career, as disappointing defeats in his first two league games against Varese and Cittadella did not give Toro the flying start they would have wanted. Whilst Torino's form did improve, especially in the months of November and December, they have underperformed since the winter break, and ultimately, a run of four defeats in the last six games meant Lerda's reign was becoming untenable. Lerda has been replaced by Giuseppe Papadopulo, who is perhaps best known for his spell in charge of Siena, where he got the small side from Tuscany promoted to Serie A. Papadopulo has also had spells in charge of Lazio, Palermo, Bologna and Lecca, who he got promoted to Serie A in 2008. 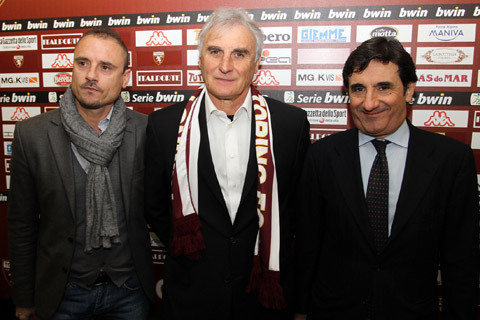 The 63 year old will take charge of his first game on the Torino bench on Saturday, at home to Livorno.